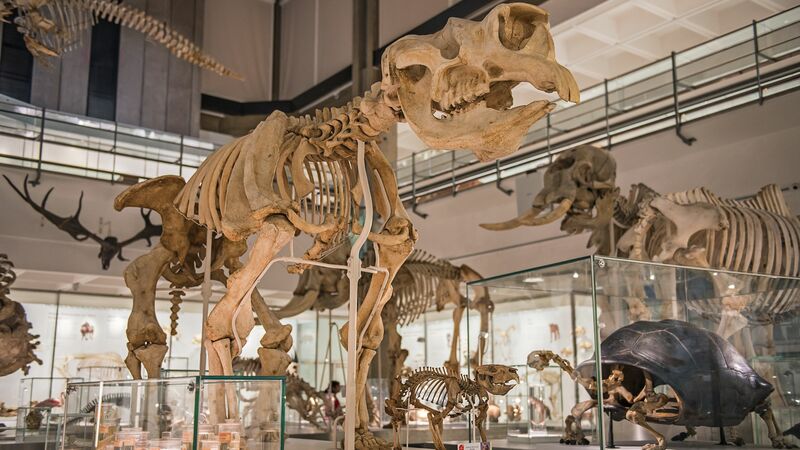 The University Museum of Zoology has reopened its doors to the public after an extensive £4.1 million redevelopment. As part of the redevelopment, the Museum’s collections have been reimagined to champion conservation and celebrate the beauty of the natural world. The Museum is free to visit and open to everyone. We want to encourage dialogue with the wider public about the need to preserve and increase biodiversity. 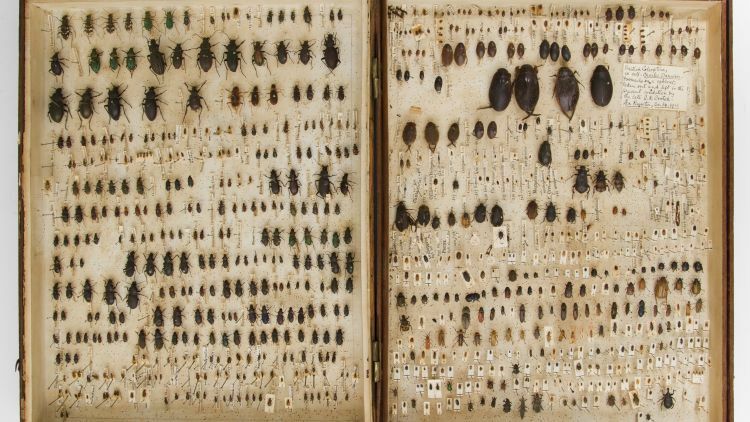 So we’ve redisplayed our collections to tell these stories of conservation, habitats, ecology and biodiversity. 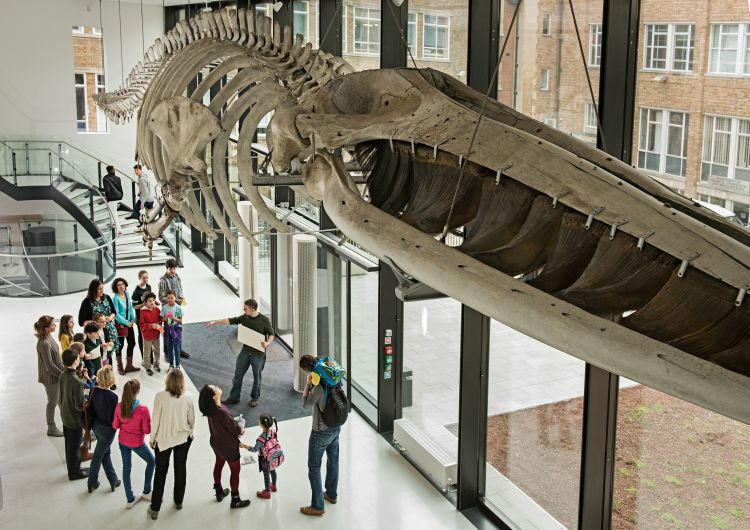 With a new Learning Lab, gift shop and Whale Café, the re-energised Museum has the local community at its heart. An exciting new programme of events and temporary exhibitions are planned for the year ahead, with the aim of igniting a passion for biodiversity and conservation in the next generation. Museums like ours play such an important role in inspiring awe and excitement in the natural world, as well as helping to answer genuinely world-changing challenges like climate change and biodiversity loss. The incredible objects and displays we have here at our new museum are perfectly placed to do just that. 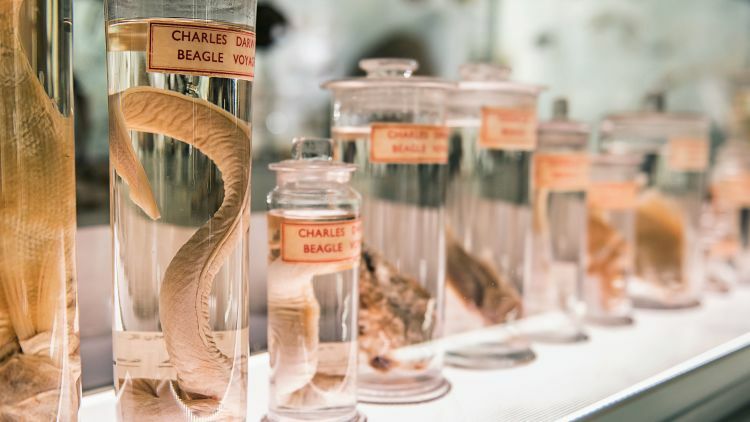 The Museum contains more than two million specimens of all shapes and sizes. Visitors will experience first-hand the majesty and diversity of life on Earth as they gaze in wonder at a 21-metre fin whale and discover iridescent collections of beetles and butterflies. 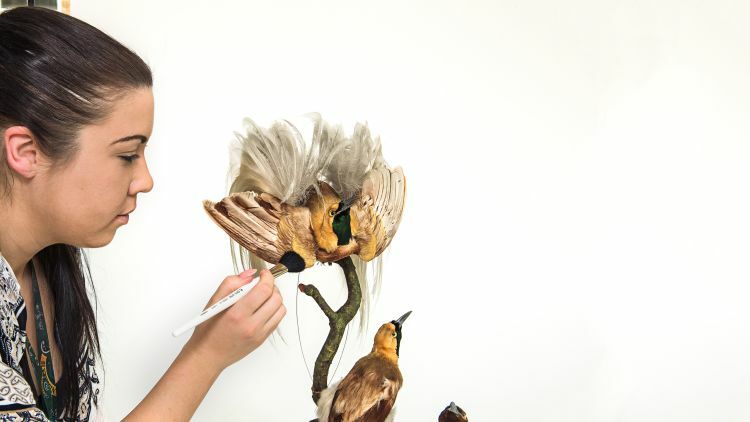 The collections, which date back to 1814, include specimens of monumental historical and scientific value, such as the Galápagos finches that Darwin used to illustrate his evolutionary thinking in The Origin of Species. 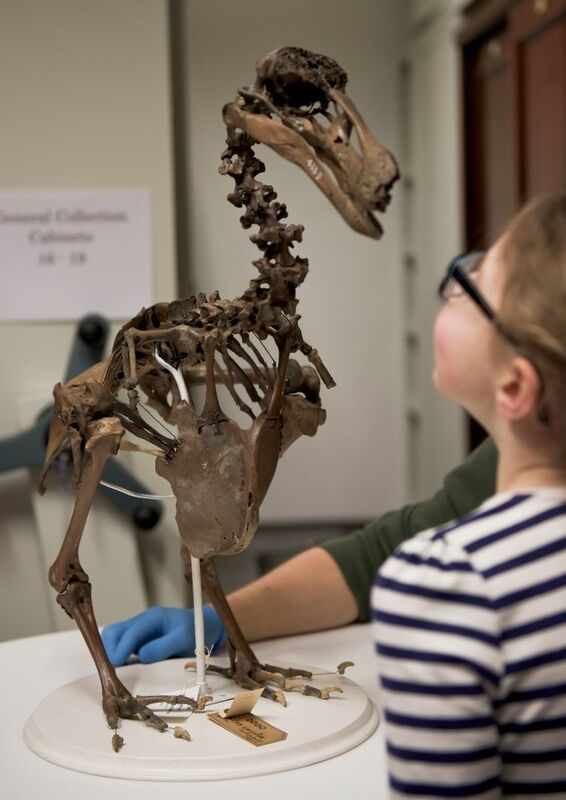 Visitors will find themselves stepping back in time as they walk amongst mythical-like creatures from the past, including an ice-age giant sloth, which stands as tall as a giraffe, and a wombat-like marsupial, the size of a rhino. This marvellous museum is a place where the public can come to see, study and wonder. 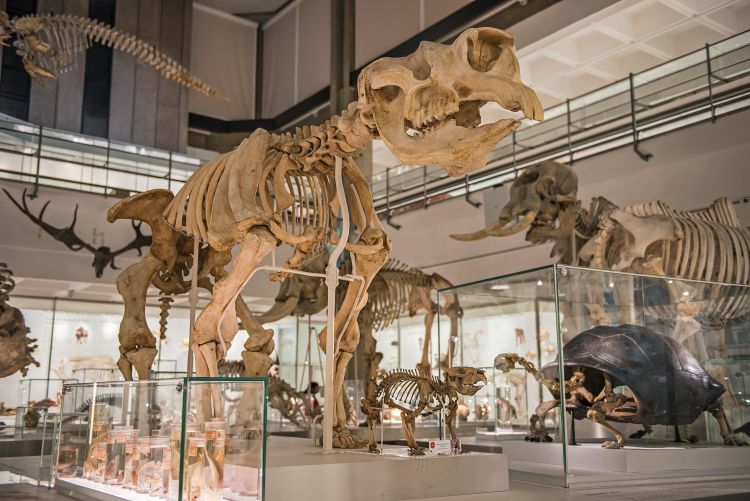 The University Museum of Zoology, Cambridge is of the highest importance to the study of zoology and to the understanding of the natural world by people at large. Long may it flourish. On 22 June Sir David Attenborough officially re-opened the Museum. After a gala reception, Sir David was ‘in conversation’ with TV presenter Liz Bonnin, who asked questions submitted by the public and the Museum’s Young Zoologists Club. Sir David Attenborough installs a standard wing bird of paradise specimen during the opening ceremony of the Museum. As Sir David placed it in the case, he described in vivid detail his experience of seeing the birds performing their elaborate courtship dance in the wilds of Indonesia. Sir David Attenborough installs a standard wing bird of paradise specimen during the opening ceremony of the University Museum of Zoology, Cambridge. As Sir David placed it in the case, he described in vivid detail his experience of seeing the birds performing their elaborate courtship dance in the wilds of Indonesia. Watch Sir David Attenborough in conversation with Liz Bonnin. 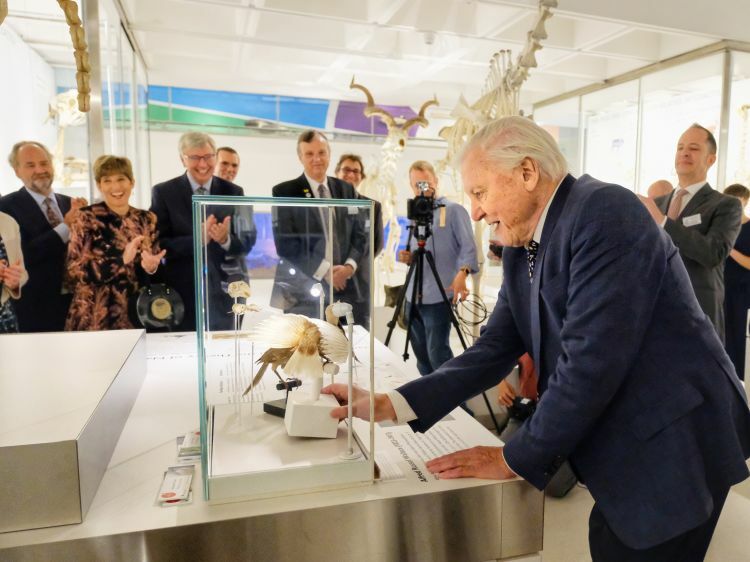 The Museum shares its home – the David Attenborough Building – with the Cambridge Conservation Initiative, a unique collaboration between the University of Cambridge and leading biodiversity conservation organisations. The redevelopment was funded in part by the National Lottery who awarded a grant through the Heritage Lottery Fund (HLF) of £1.96 million. 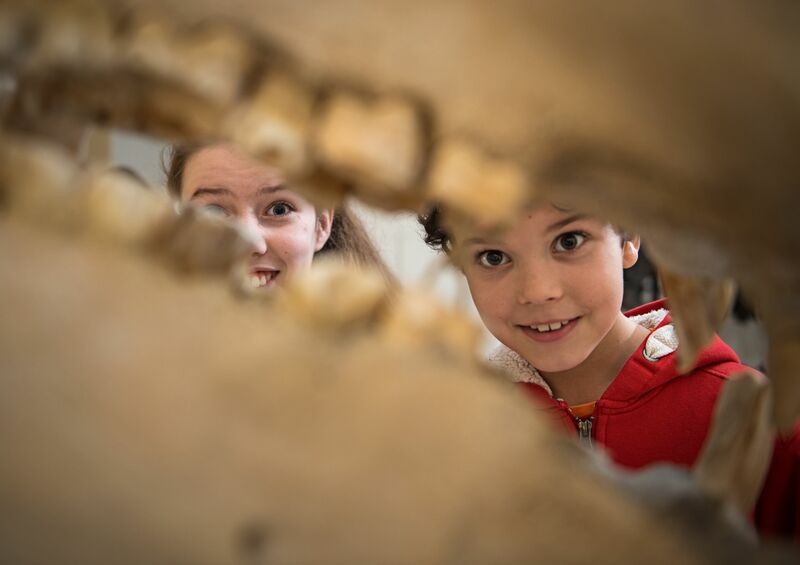 The University Museum of Zoology is open to the public Tuesday to Saturday, 10.00am to 4.30pm and Sunday, 12 noon to 4.30pm. Entry is free. Photographs by Julieta Sarmiento and Sir Cam @camdiary.